This month, it’s all about purses, coffee, and cozy scarves. Hi again and happy Halloween! How is everyone doing? I’m doing well and am so happy that fall has FINALLY arrived in my town. I’m stoked to celebrate the holiday today and I’m even more excited for Thanksgiving break since I haven’t been home much this semester. There is truly no place like home. So now that we’re all caught up, it’s time for the fun part. Scroll on down to read about my October favorites and what’s on my wishlist this month.. 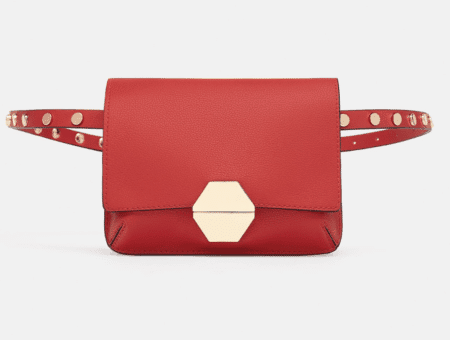 Remember how I said I wanted a Rebecca Minkoff bag in my August post? Well I got it for my birthday from my family and could not be any happier with it! I absolutely love this purse. I ended up going with black, although in my earlier post, I said I wanted brown. After much consideration, I decided that black would better complement the colors in my wardrobe. I also got the large version of this purse. I was scared at first because I thought it would be too big, but the size is perfect and can hold everything! The quality of this purse is amazing, it matches with everything, and I can use for any event whether I’m going out to dinner or interviewing for an internship. 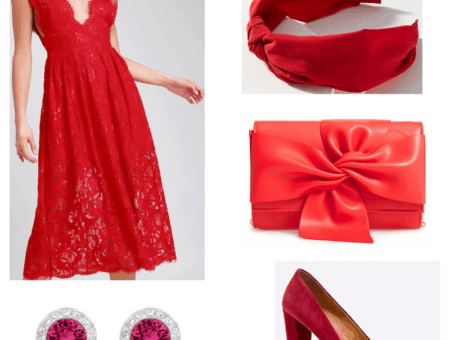 It’s casual, but not so laid back that it would look weird with work attire. I even take it to the library with me and stash my laptop in it! I could write a novel about this purse. I love, love, love it. Can’t you tell? I love coffee in any form, but iced coffee is definitely my favorite (yes, over lattes and cappuccinos). I feel like iced coffee is one of those drinks that can be enjoyed all year round. The maker that I got is super simple to use and even came with a little recipe book. I love experimenting with it. If you are looking for a new way to drink your cup of joe, then this is a good one! 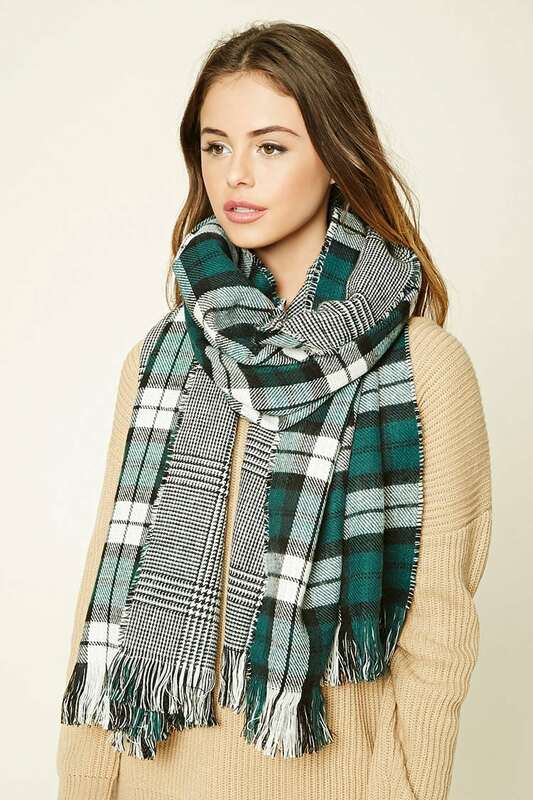 I went to the outlet mall this past weekend and found a plaid reversible scarf from Express. I couldn’t find the same one online (ugh), so I found this one from Forever 21 that looks similar to it. The pattern is the same, but the one I bought is blue, red, black, and white instead of the green I found here. I’m really happy with my purchase. It was like buying two scarves for the price of one, since it goes with so many things. Amazing deal. 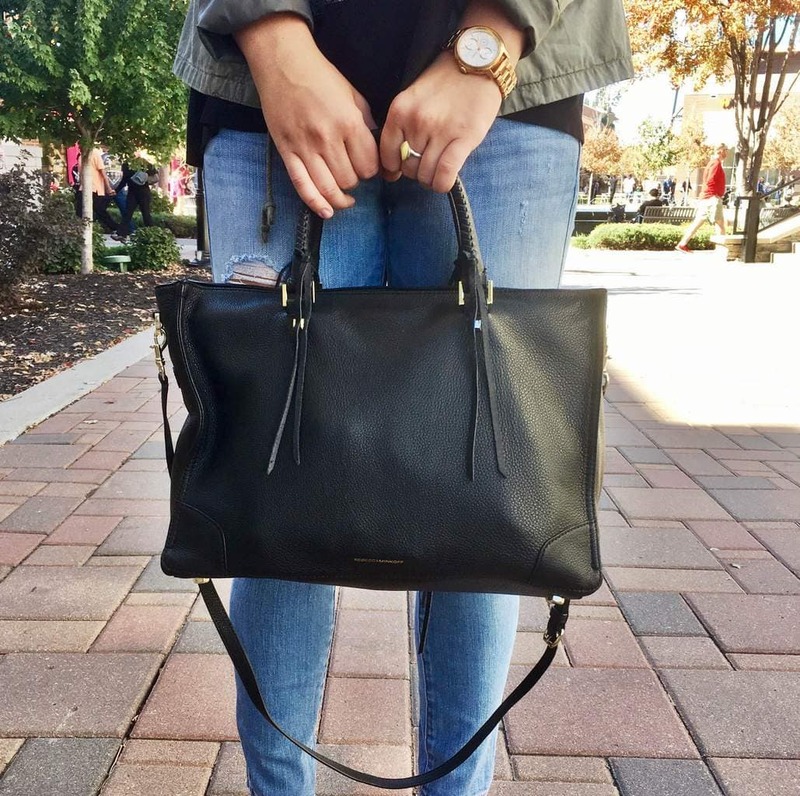 It’s a cute fall/winter accessory and goes with virtually every outfit. Love it! Black is my favorite nail color for the fall. It’s dramatic, edgy, and goes with everything. Everyone is talking about how black nails are back, and I’m fully in support of this trend. What else do I need to say? Raise your hand if you’re obsessed with this song, too! It’s a favorite on my campus. I’m usually not a fan of Bieber. In fact, I have never been a fan until this year. I, like many people, don’t really follow teen pop, but now that Justin is collaborating with EDM and dance music artists, I’m all about him. If you haven’t heard this song, where have you been? I think these Steve Madden boots are absolutely adorable! I looked for these over-the-knee boots at the outlets but couldn’t find them at a decent price (they were all over $100). If I wasn’t in college, I probably would have bought them, but I feel bad spending that much money when there’s a good chance that they will probably get ruined. It’s getting chilly here in the morning and a jacket and scarf just won’t do anymore! I need some extra warmth. I only have one beanie and plan to get more. I have a black one already and want a maroon one like this, and a gray one as well! If I buy anything this season, it will most likely be this! (Sorry, shoes!) Who doesn’t love waking up all warm and toasty on a cold morning? What are your favorite purchases this month? What do you want for next month? Let us know in the comments below!